When rendered in diamonds, opals and glittering colored gemstones, insects are more than welcome at a garden party. Anna Hu’s sensational high jewelry delights collectors with its intricate work and impeccable settings. In her butterfly ring, a wild mix of gems including opals, diamonds, moonstones and Paraíba tourmalines come together to re-create the magic and iridescence of a butterfly’s wings. 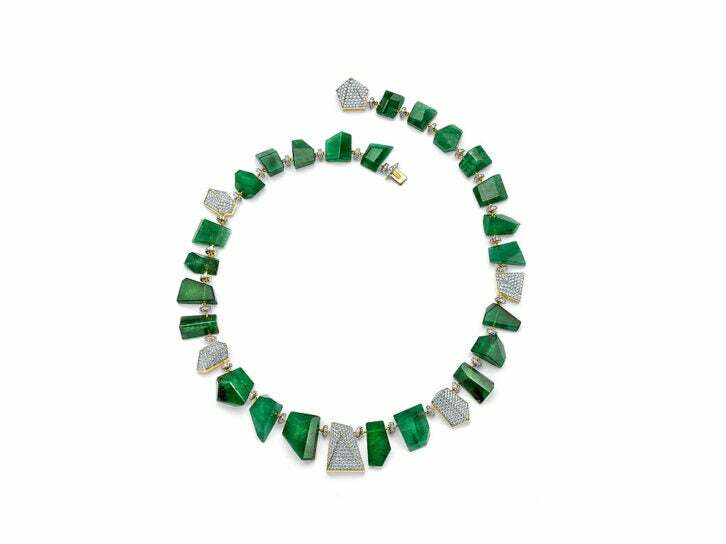 Emeralds, tsavorites and peridots give depth and dimension to a beguiling moth from Hemmerle; mixing invisible settings with cabochon cuts and brilliant cuts, the German jeweler showcases its craftsmanship, particularly in the impressively lifelike antennae. The impact of Jean Schlumberger’s nature-inspired designs for Tiffany & Co in the 1950s and 1960s cannot be overstated, which explains why his pieces remain instantly recognizable today.We love the sharp angles and inspired design of this cricket clip. David Webb has dedicated a collection, Kingdom, to the animal world. 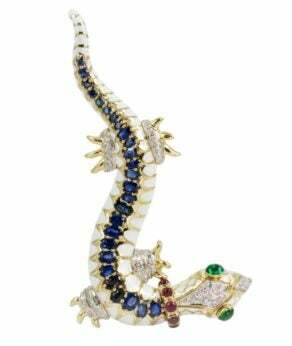 This adorable salamander brooch uses white enamel and 18K yellow gold to offset a sapphire body and emerald eyes. Van Cleef & Arpels places a ladybug with mystery-set rubies atop a delicately curled leaf to hide the dial on this elegant secret watch.